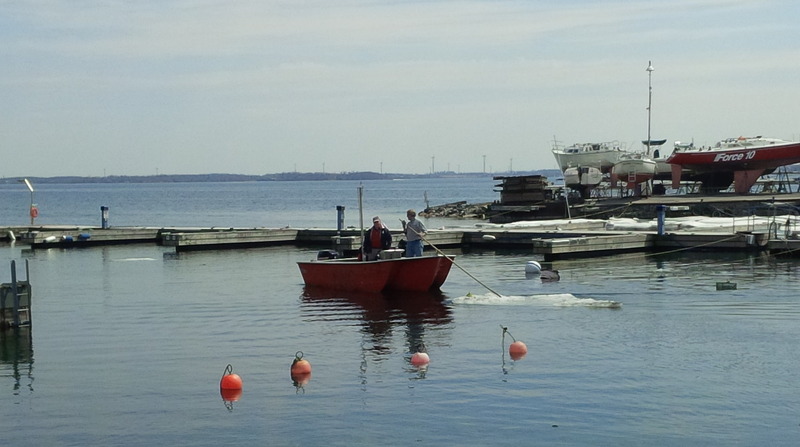 The boats in the yard are getting their annual grooming which can only mean one thing-Launch is almost here! Thanks to some hard work by the yard staff and a handful of members, the harbour is clear of ice so we will not have to postpone. Commodore shoos ice out of the harbour with a deck brush. A new take on 'ice fishing'. Chili + regular menu served starting at noon. Please RSVP for the breakfast (volunteers excepted). A reminder that all members are to be present while their boats are being launched. Food and Bar service will operate on Summer hours starting May 1st. Thanks to everyone who attended our special edition Easter brunch buffett. This Sunday our normal brunch service resumes. Have you ever thought about becoming an Adult Learn to Sail instructor but didn't know how to start? This TGIF is for you! Join us starting at 4PM for our regular Friday night fun. We will hold a meeting for all those interested in helping out with the ALTS program at 6PM in the Partridge Room. The best way to hone your skills is to teach them to someone else! Returning ALTS instructors are encouraged to attend as well. Once we get an idea of who is interested at the meeting, we will hold an "on water" session to introduce you to our Club Sharks. 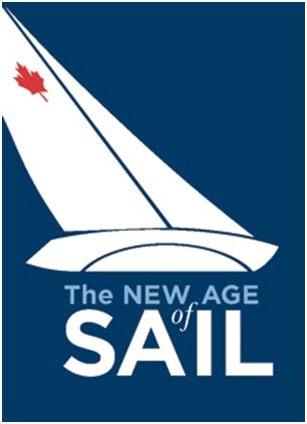 On May 10th, KYC will host the inaugural gala dinner for the"New Age of Sail" exhibit that will open at the Marine Museum this summer. 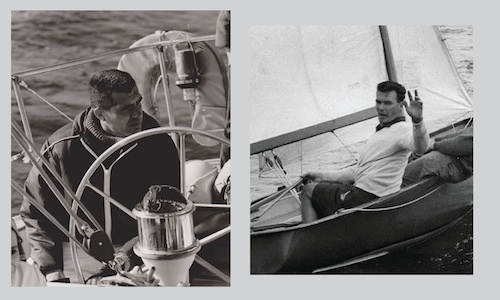 At the dinner, Bruce Kirby and George Cuthbertson, honorary curators of the exhibit, will be inducted by Sail Canada into the Canadian Sailing Hall of Fame. KYC is proud to be hosting this prestigious event and ask for cooperation and understanding from members as the club house will be busy and access limited during the afternoon and evening of May10th. Click for further details on the exhibit and Hall of Fame Induction. Tickets are available at $150/person with proceeds going to the Marine Museum. Seating is limited so reserve early. The Practice Race planned for next Tuesday is being cancelled. The KYC racing marks will be laid that evening. We could use a couple more volunteers to help wtth that task. Racing for real starts next Thursday evening! Reminder: please sign up for Race Committee duty by emailing race@kingstonyachtclub.ca. "Sailing > Racing > Racing & RC Duty Schedule" web page. The "Crew/Boats Seeking" list has been started. It's viewable on the "Sailing > Racing > Crew/Boat Bank" web page and it's been posted to the bulletin board. Send new items (or removals) to race@kingstonyachtclub.ca. Email lists are being created for KYC racers and racing boat owners. If you haven't received an email about this and want to included on either list please email ken.martin@kingstonyachtclub.ca. Sunday, May 11th, 11am to 1pm, later if warranted. To reserve>> in-person at the club, call 613-548-3052 ext 4 or email manager@kingstonyachtclub.ca with arrival time, number in party and any dietary restrictions. The KYC bar has the 2014 parking stickers ready for pick-up. Please have your license plate number handy for the exchange. are welcome. Additional details can be found here. May 1 Clubhouse/Restaurant switch to "Summer" hours. Would sailors looking for boats to race on and skippers/owners looking for racers please email your preferences & skills / needs to ken.martin@kingstonyachtclub.ca. The new & improved Sailors' Handbook for 2014, including SIs for all events and more trophies & ads, is available at the bar of from the office. We have some new events planned this year, which will be of interest to racers. JS and ALTS is now accepting registrations! Spots are filling up quickly so don't delay. Register today! From Transport Canada: Please note that mooring and anchoring within the limits of Kingston Harbour is prohibited. Please see NOTMAR C157/14 for details. Cost: 15$ at door and 10$ in advance. Those 18 and under may attend via a donation. Please contact the KYC office (613 548 3052, office@kingstonyachtclub.ca) to buy tickets in advance. Come hear an example of how life is about living your dreams and triumphing over adversity! All attendees are donating to the KYC Learn to Sail Program, and once through the door become eligible to bid to learn from Diane onboard your boat this summer! (Note: if you don't have your own boat and really want to win this cool training opportunity.. we will work something out!). Proceeds are going to the purchase of new 420 sails for our race team. KPSS offers a annual, free check of safety equipment a boat must carry to ensure that the minimum safety required by Transport Canada is on board the vessel. This is a voluntary program that protects the anonymity of the boat owner while providing on-the-water indication of the vessel's compliance at the time of the check. The requirements are published by Transport Canada in the Safe Boating Guide: (http://www.tc.gc.ca/publications/en/tp511/pdf/hr/tp511e.pdf). The check requires a visit to your boat by one of our trained specialists and takes about 30 minutes to complete. If you have the required equipment aboard, our specialist will issue a decal that can be displayed on your boat. Authorities (RCMP. OPP, CCG) will be able to see your compliance easily. If you would like to arrange for one of our specialists to meet you at your boat, please complete the form below or send an email to our RVCC Coordinator (kps.rvcc@gmail.com). I would like to thank everyone who attended the Town Hall meeting on March 26th, those who completed the survey, and everyone who has been part of the process over the past few years. We very much value your input and feedback. For those who couldn't attend, the presentation can be found here. SAIL: April 19, 23, 30, 2014 from 7:00 - 9:30 - Partridge Room. This Sailing Course is for new and experienced sailors who want to increase their sailing knowledge and skills. It covers the practical and theoretical basics of sailing and sailing seamanship. The range of topics is broad: from a description of different sailboat rigs, sail plans, hull types, and rigging to stability, balance, and the physics of sailing; from sailing at different points of sail to handling heavy weather and storm conditions; from spinnaker handling to reefing; from leaving the dock to mooring and anchoring. It also covers sailing safety, navigation rules, and sailing tactics. Cost: $150.00. Follow http://www.boatingcourses.ca/cities/Kingston to the Canada Power Squadron website to register for this course. Our new RMC this year is Samuel Thompson, a Queen's undergraduate student with extensive experience racing dingies, including Optis, Lasers & 29ers, as well as keelboats. Sam's been a member of Ontario and Queen's Sailing Teams and plans to sail 49ers this summer. He will be starting work on April 28. If you get a chance please welcome Sam to the club.